The Bulldog SS20 sweeps and scrubs! With a 20" scrub path, the Bulldog can get just about anywhere! You can clean up to maximum of 23,800 sq. ft./hour. The Bulldog has a 12-gallon tank capacity, ergonomic adjustable controls, and a unique stainless steel squeegee tool. 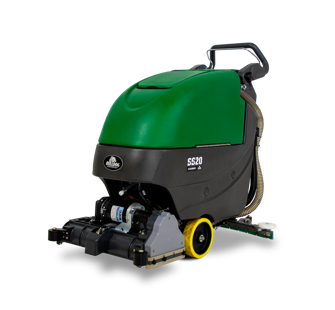 Bulldog Scrubbers are American made, high-quality commercial floor cleaning machines that you can count on. Not to mention, they are affordable, and easy to use.